We all want to do more with the same information; how can it be repackaged, reimagined and relevant for everyone connected with the organisation - and beyond? A review of your news information flow - both internal and external - could have beneficial consequences. Let Vable bust some jargon and help you to start thinking about putting client needs first. 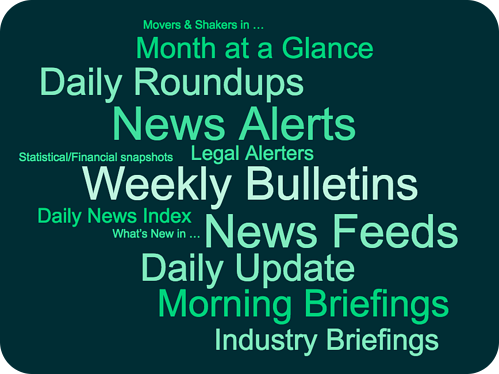 News Alerts, Daily Index... What’s in a name? Some synonyms of "Current Awareness"
The list is endless. To add to the confusion, not only can names be industry specific, but departments within the organisation might call their updates something different. For example, Business Development might adhere to a firm-wide brand, whilst the finance team has a simple text email. Putting the jargon aside, the most important thing to think about is this: what is your organisation looking to achieve with the information that is being distributed? Are ‘Good Enough’ news alerts enough? Think about it - never settle for ‘good enough’! As we head into 2019, you might have read about new business development and client satisfaction technologies. Innovative use of collaborative information - both inside and outside your organisation - can enable meaningful dialogues between you and your clients. Not only that but they can increase productivity and reduce inbox overload, as well as create new business opportunities. Let’s start addressing practical concerns. Are you ready to invest in an organisation-wide news dissemination solution? We have listened to people across various industries and we know that they face blockers in their organisations; this could be lack of management interest, or a resourcing or knowledge issue. Innovative use of collaborative information - both inside and outside your organisation - can enable meaningful dialogues between you and your clients. However in the list below I assume that the business is ready to challenge the status quo, especially if innovation managers, chief knowledge or client value officers - or similar person - have been recruited. We want to ensure that business development and information departments - and other relevant teams - are speaking the same language to achieve best practice and smooth internal communications. Many of the points mentioned above will uncover existing blockages in communications and processes, but embrace this an opportunity to make a real change. We know that it is possible to deliver competitive and/or market intelligence with increasingly sophisticated systems. We are listening to our own clients who are demanding more system functionality, for example shared dashboards, information sharing and trend spotting. We all want to do more with the same information; how can it be repackaged, reimagined and relevant for everyone connected with the organisation - and beyond? What do you call ‘current awareness’? How are you currently sending news updates to clients? What current awareness problems are you looking to solve in 2019?